Waikato Regional Council is to target high risk farms with ‘grossly undersized’ effluent storage. Nineteen per cent of Waikato farms have “grossly undersized” effluent storage and Waikato regional councillors have backed a plan aimed at bringing them in line. Council chair Alan Livingston says it’s the old 80/20 rule. Regional council staff will now be adopting a more risk-based monitoring programme, combining one-on-one site visits of high risk farms with aerial inspections which could include using satellite imagery, drones, fixed wing aircraft or, if necessary, helicopters. During June 28’s meeting councillors voted in favour of limiting the use of aerial inspections to circumstances where there is cause to suspect that properties present a high risk of non-compliance or are non-compliant. They also agreed that any aerial operations should be carried out in a way that prevents animal disturbance and interference with normal farm operations. Farming services manager Nicole Botherway says a “mix of monitoring tools is needed” and there are emerging technologies staff could take advantage of in their regulatory work. “We have some of the most accurate information we’ve ever had,” says Nicole. 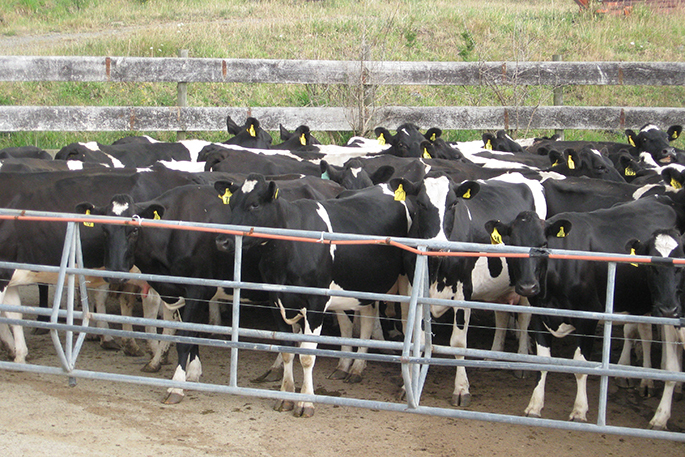 “Nineteen per cent of Waikato farms have less than seven days’ storage based on two milkings per day. And in many cases they have a lot less. Nicole says WRC has asked 432 of Waikato’s high risk farms for plans to upgrade their storage – “and in four years just 76 have done this”. “At this rate of change on farm, it would take 27 years for them all to comply,” says Nicole. Since an effluent monitoring review by councillors and industry in 2014, council regulatory staff have primarily been carrying out announced visits to farms, and aerial surveillance for compliance monitoring was stopped. Resource use director Chris McLay says they are at a place now where a significant portion of the farming population have or are attempting to improve their systems and working with them one-on-one has helped. “But the way we currently do inspections cannot reliably detect non-compliance with the rules by those who have shown no attempt to improve their infrastructure, and there are some farmers who will not comply without us using other tools at our discretion. However, Chris says the council is not planning to return to blanket routine helicopter monitoring. Chris told councillors that during the last four years central government, auditors and other regional councils had queried Waikato’s decision to reduce its regulatory monitoring tools and had expressed concern about the impact of this decision on compliance. Councillors generally agreed there was a need to speed up compliance and to provide staff with more tools to achieve this. But there was discussion around the table about what those tools should be, with concerns raised specifically about the use of helicopters. Councillors said they would like the council to use helicopters when no other tool would do the job to protect the relationship with farmers.